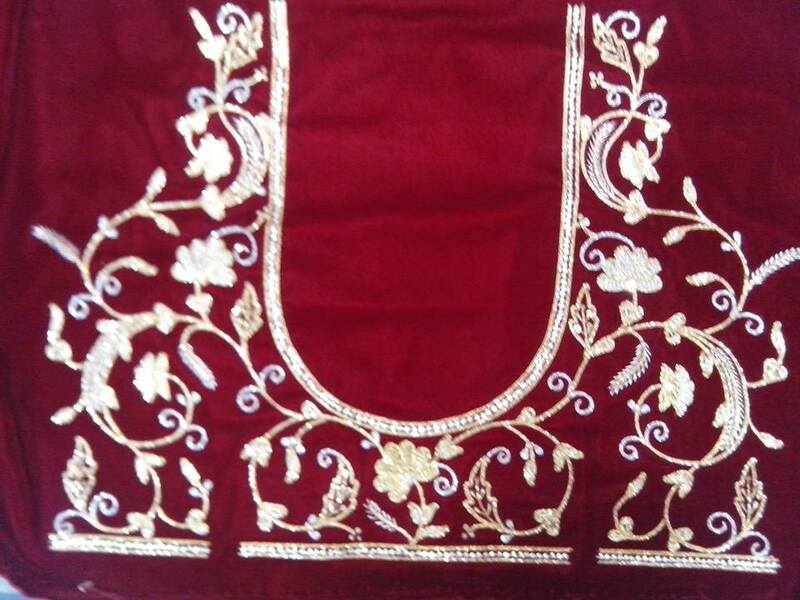 Zardozi or Zari or kalabattu is an embroidery work done in metal wires. 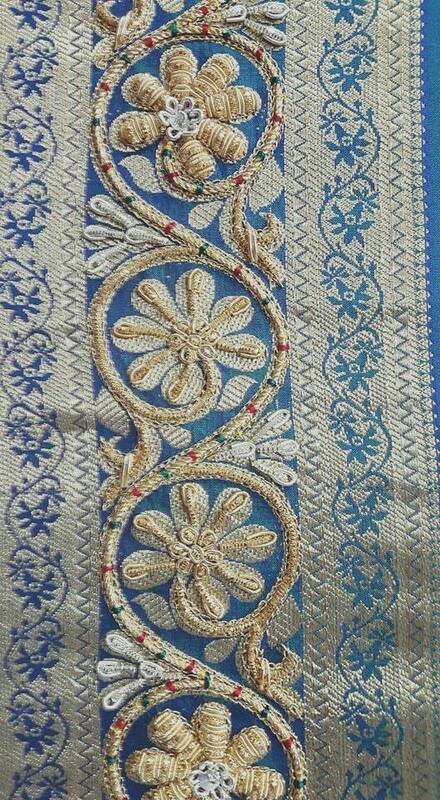 Surat is the most important center for zari work in Gujarat. 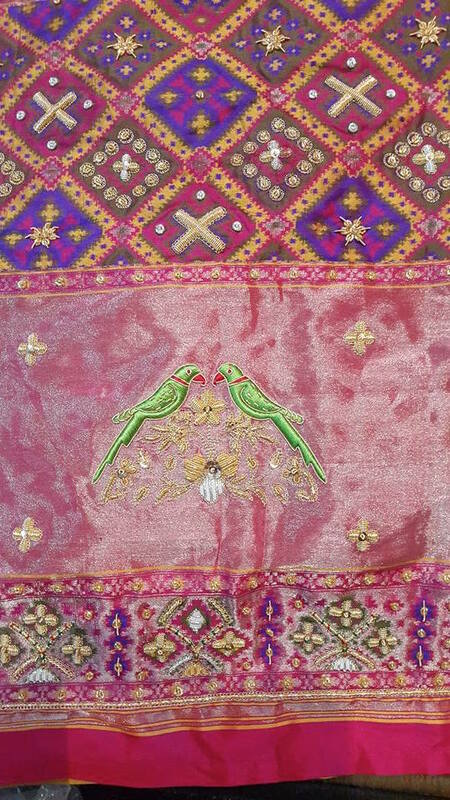 The art of this embroidery is mostly passed on from father to son where certain skills are taught with utmost secrecy. 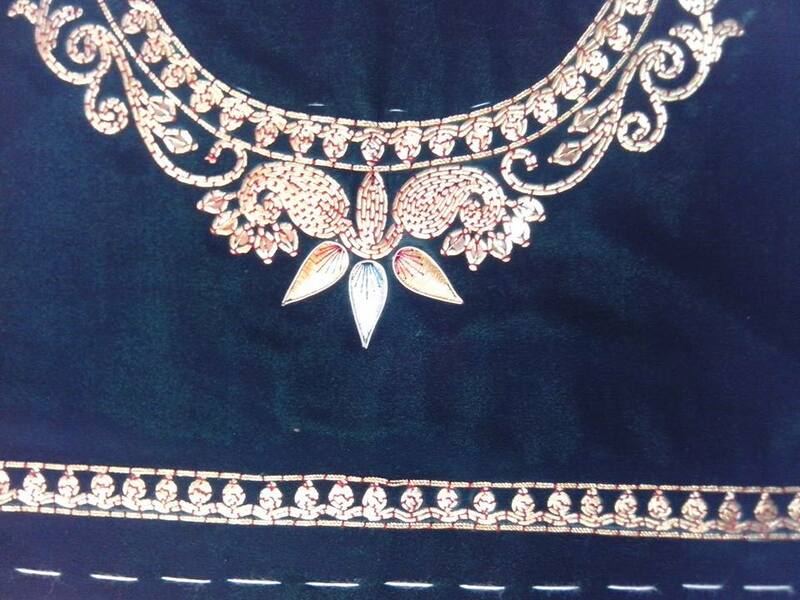 Zardozi is a more elaborate version of zari which involves the use of gold threads, spangles, beads, seed pearls, wire, gota and kinari. 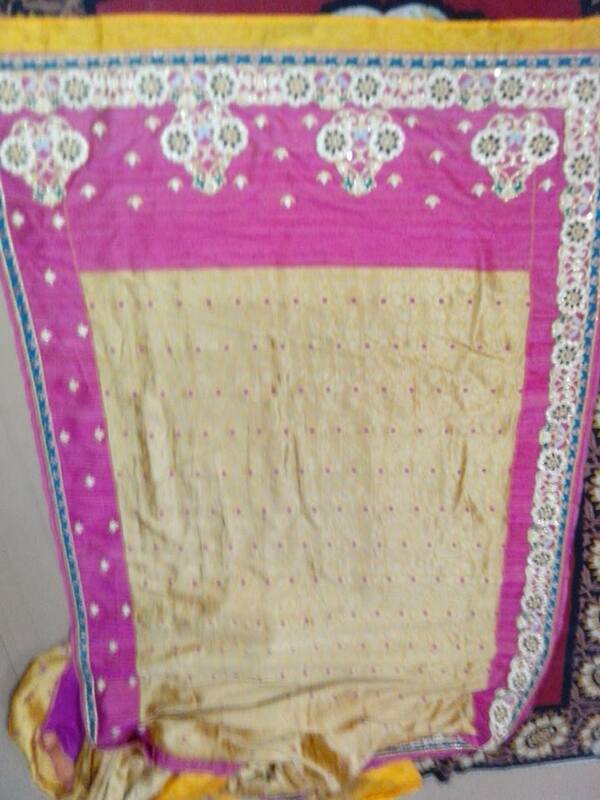 The fabric on which the work has to be done is first mounted on a wooden frame called adda, which bears a close resemblance to the Indian charpai or bed. 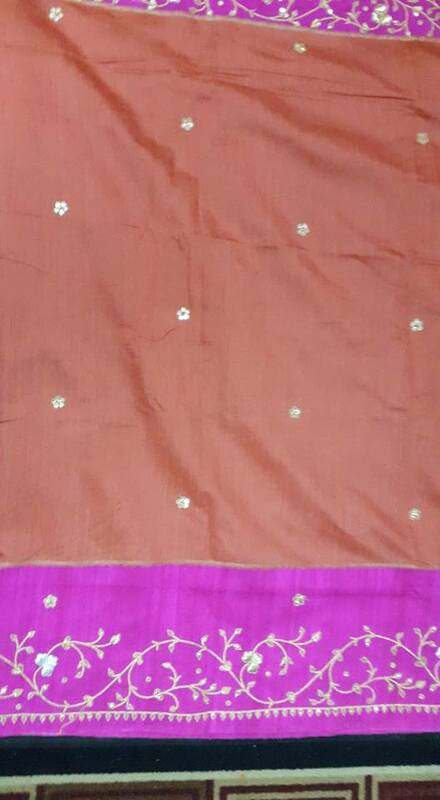 The chhapai or tracing of the design to be embroidered is then transferred on the fabric with neel or chalk powder. 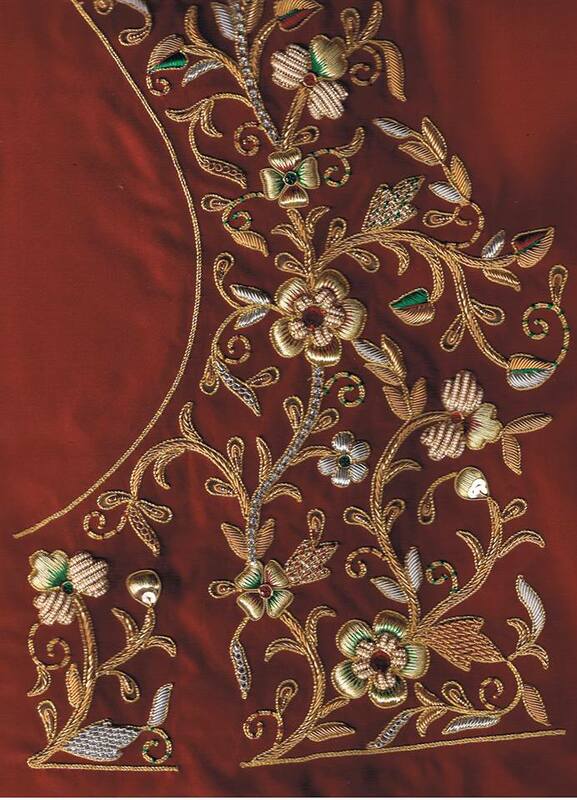 Then the embroidered starts. Set The Wedding Mood With The Our Exclusive Wedding Collection. We are happy to announce that by blessings of god & your immense support. we are opening our new branch, you all are cordially invited .